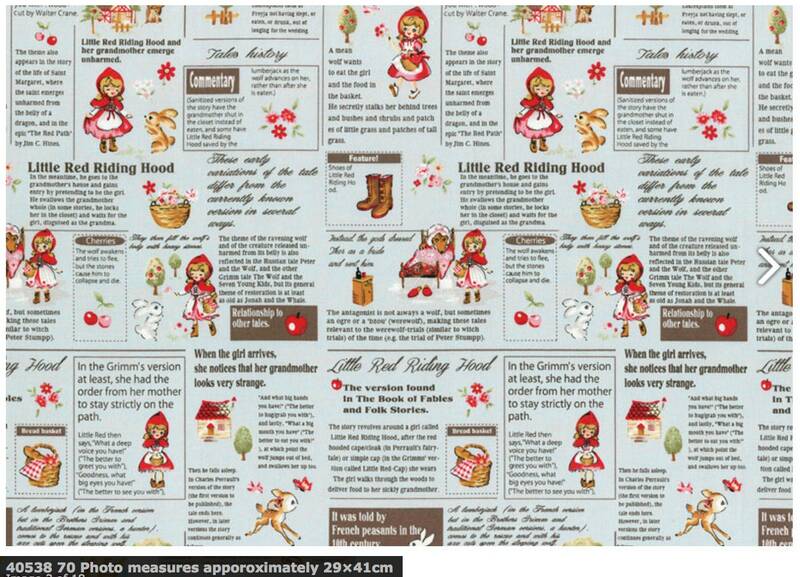 Text and story of Little Red Riding Hood on fabric. Half yard = 18"x43" (metric 46x110cm). By the yard = 36"x43" ( metric 92x110cm). Simply change the quantity to purchase additional yardage.